Writer-showrunner-executive producers Amy and Tassie Cameron ('Mary Kills People,' 'Little Dog') received the 2019 Award. Visionary producer Christina Jennings received the 2018 Award for her innovative storytelling and groundbreaking content. Damon D’Oliveira and Clement Virgo received the 2017 award in celebration of their notable body of work in film and television. Don McKellar was the 2016 recipient in recognition of his internationally acclaimed body of work in film, television and theatre. Alumna Semi Chellas ('Mad Men') received the inaugural award in 2014 for her contributions to the global television industry. 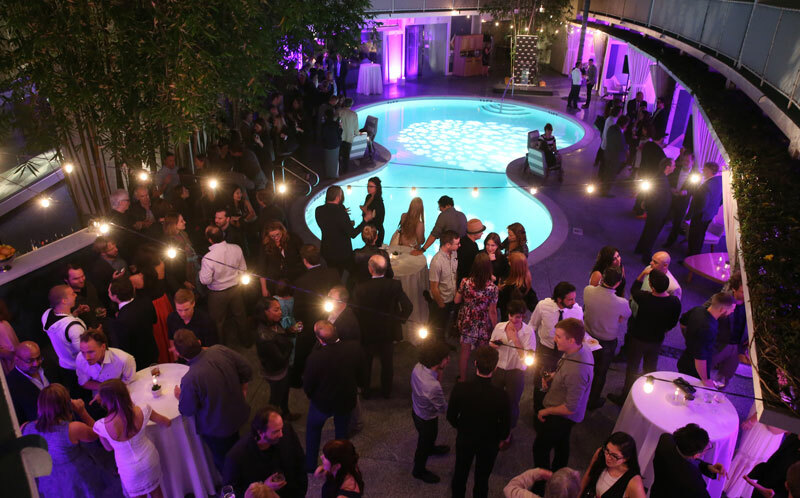 The CFC Award for Creative Excellence is handed out at CFC's annual L.A. event at the Avalon Hotel in Beverly Hills. The dynamic and award-winning writer, showrunner and executive producer team, Amy and Tassie Cameron of Cameron Pictures, were presented with the sixth annual CFC Award for Creative Excellence, in recognition of both their individual accomplishments and, under the banner of Cameron Pictures, their recent and critically acclaimed hit series, Mary Kills People (Global) and Little Dog (CBC). Their friend and colleague, also a CFC alumna herself, Miranda de Pencier, presented the award; read her speech here. Award-winning producer and CFC alumna Christina Jennings, founder, chairman and CEO of Shaftesbury (Murdoch Mysteries, Carmilla, Frankie Drake Mysteries, ReGenesis) was presented with the fifth annual award in recognition of her innovative storytelling, critically and commercially accomplished body of work, and her creative and business contributions to the Canadian and international entertainment industries. Producer Damon D’Oliveira, writer/director/producer Clement Virgo and their production company Conquering Lion Pictures received the 2017 award in celebration of their critically accomplished and notable body of work in film and television (The Book of Negroes, Poor Boy’s Game, Lie with Me). Award-winning writer/director/actor Don McKellar (Highway 61, Sensitive Skin, The Grand Seduction) was the 2016 award recipient in recognition of his internationally acclaimed and outstanding body of work in film, television and theatre. Alumni Graeme Manson and John Fawcett were presented with the 2015 award for their originality, vision and exciting work on the smash hit award-winning original series Orphan Black. Alumna Semi Chellas (Mad Men) received the inaugural award for her outstanding work and contributions to the global television industry.